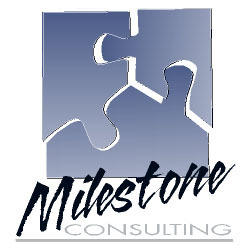 Milestone Consulting is a financial advising firm serving the Silicon Valley. Making every thing fit to achieve the best financial solution for their clients is their specialty. The logo designed by Wild West Design quickly gives their clients the idea of their goals.